I really love Lyle's. Funny, I don't remember having it when I visited England about 20 years ago. But it's become my go to corn syrup replacement and I love that golden syrup is more widely available now right here in the US than it was even a couple years ago. I can find it in just about all our local grocery stores now. Usually in with the pancake and corn syrups. It is cane sugar derived and has a unique caramely flavor like a light hint of brown sugar. 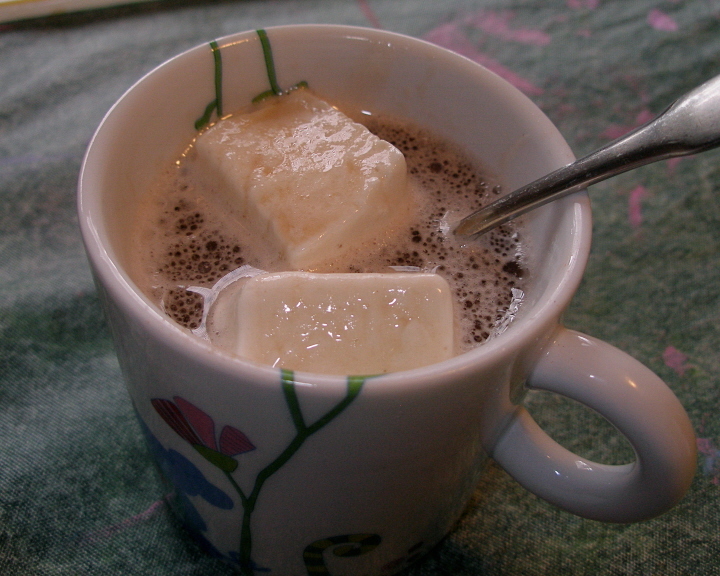 Now I've mentioned the book, Marshmallows: Homemade Gourmet Treats before many times. Marshmallows freeze wonderfully by the way. Just be generous with the coating so they don't get sticky while thawing. They will last for months in the freezer and thaw just as good as new. Or just take a few out at a time for hot cocoa! Remember to calibrate your thermometer! Spray the bottom and sides of a 9 x 13 pan with cooking spray and wipe it lightly with a paper towel, leaving only a thin film of oil. Set up a stand mixer with whisk attachment in place. Make the bloom: Measure the cold water into a measuring cup and add the vanilla. Place the gelatin into a small bowl and pour the water mixture over it, stirring until there are no lumps. Set the bowl near the stove. Make the base: Place the ¾ cup water, the golden syrup, salt, and sugar, in that order, into a 4-quart pan. Bring the mixture to a boil over medium-high heat. Cover the pan with a lid and allow it to boil for 2 minutes to wash down the sugar crystals on the sides. Remove the lid, place a candy thermometer in the pan, and continue boiling until the syrup is 250ºF 240-245ºF. Once the lid is removed, do not stir the mixture! Remove the thermometer and gently stir in the bloomed gelatin. Update: I have found that having the syrup too hot can result in a somewhat gooey or stringy texture in the finished marshmallows because the high temperature degrades the gelatin. Best to let the syrup cool to around 212º before adding to the gelatin. Pour the batter into the bowl of the stand mixer. Beat it on high for 10 to 12 minutes. At first the batter will look very watery, but as it beats, it will become thick, white and glossy and will increase in volume by two- or threefold. Remove the bowl from the mixer stand and spread the batter into the prepared pan. Smooth the top with a spatula. Let the pan sit uncovered at room temperature for at least 4 hours or overnight. **For the coating: Sift together ¾ cups powdered sugar (Whole Foods carries powdered sugar made with tapioca starch instead of cornstarch if corn is an issue) and ¼ cup arrowroot or tapioca starch. Lightly sprinkle a work surface with the mixture. Ease the marshmallows away from the sides of the pan and flip the pan over, releasing the marshmallows onto the cutting surface. (Flip again - it is easier to get clean lines while cutting if cutting down through the outer cured side first.) 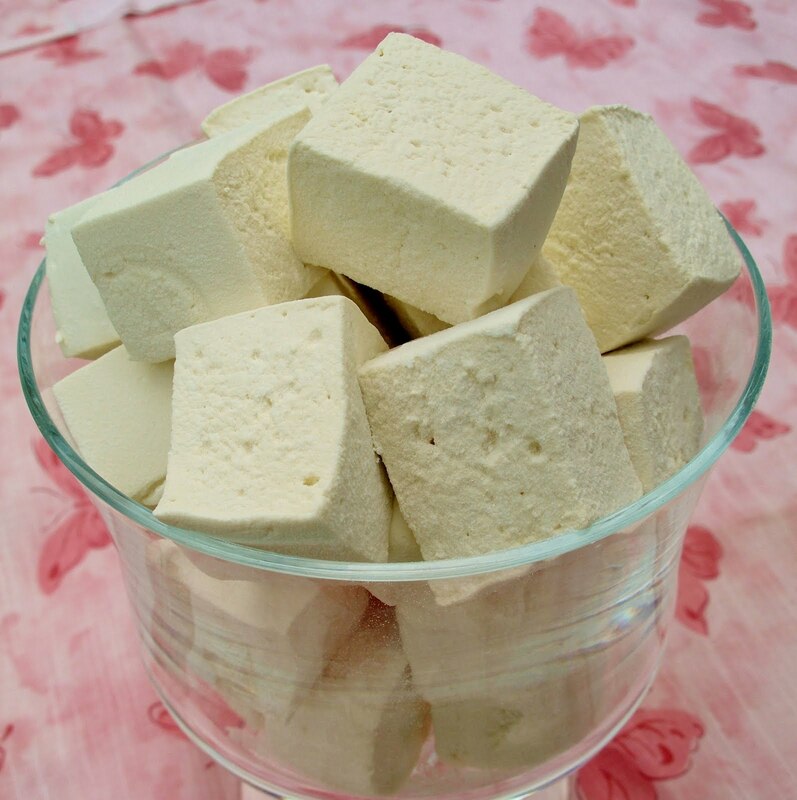 Cut the marshmallows into squares, or use cookie cutters to cut fancy shapes. Toss the cut marshmallows in the powdered sugar mixture, shaking off any excess. Place the coated marshmallows in an airtight container, with waxed paper between the layers, and leave a corner of the lid slightly ajar. They will keep at room temperature for up to 2 weeks. They will also freeze for months. p.s. I found plain old Powdered Sugar without anything added at Puget Consumer's Co-op, a Seattle area Co-op. @ Holli - Oh I'm glad you found a good local option! I used to order glazing sugar from King Arthur (just plain powdered sugar with no starch) before I found the sugar with tapioca starch option. P.S. Your marshmallows are beautiful, by the way. hi, i was wondering if you could help me! i made this recipe a few weeks ago, and were the best marshmallows ever!! 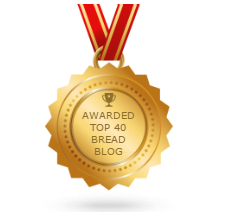 but the past 2 times i made it, it has turned out really weird. like, a chewing gum stringy weirdness, and it doesn't even double in size. what am i doing wrong? I have had that happen once, where they were a bit too chewy and stiff. For me, it was because I let the syrup get a few degrees too hot. Also make sure not to stir the syrup after you take the lid off, until you stir in the gelatin. I would try calibrating your thermometer to make sure of your readings. (It should read 212º for sea level boiling water.) Have you changed anything from the first batch? (Glad that one turned out for you!) Temperature will be more touchy for a half batch. A heavy bottom pot helps too. I would say try 240-245º for your next batch and if that corrects the problem, it is definitely temperature. I think I may adjust the post since the original temp was designed for the marshmallow syrup and golden syrup may be more sensitive. Thanks for the feedback and I hope you get your first results again! I am trying to make these however I am a vegetarian therefore I am using the Dr Oetker Vege-Gel and the marshmallow just isn't whipping up and turning into marshmallow, instead it is turning into what seems like spreadable fudge which is delightful haha but not what I am going for. Could you please help me and advise me on what to change? They look like proper marshmallows to me and there are no bad for you ingredients like soy protein isolate. If you want to try with the gel you have, you may need to use more than the recipe calls for, maybe up to twice as much from what I can guess in the difference in gelling agents.